What a great weekend! Click here for some great photos of the weekend taken courtesy of Randy Goss at the Petoskey News-Review. The Father/Son Weekend was held on February 8 – 10 and received some of the best reviews ever. We had 64 fathers and sons attend. Everyone received a nice long sleeve sweatshirt which was greatly appreciated. This event would not be possible without great volunteers, staff and community supporters. 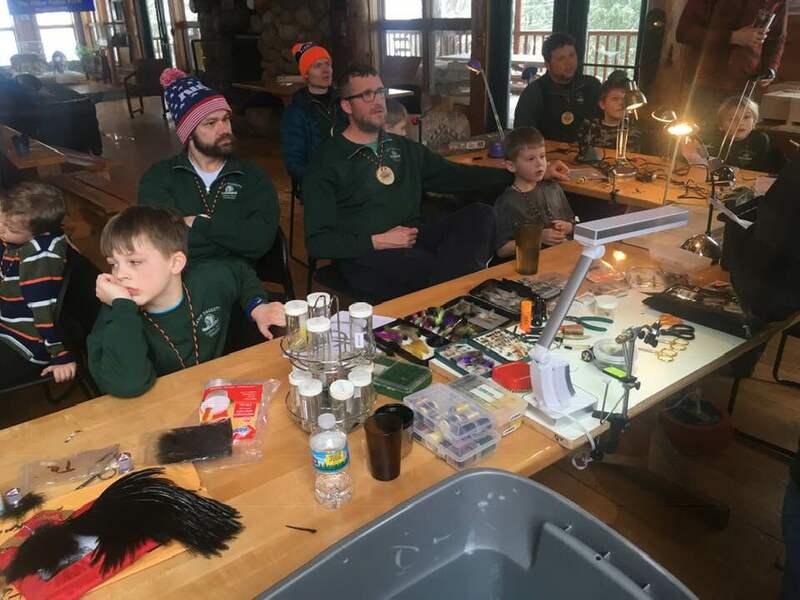 We would like to thank the Michigan Department of Natural Resources, Trout Unlimited, Lowe’s, the Harbor Springs Outdoors Club, Michigan Wholesale Bait, Pleasantview Kennels and our very own Camp Daggett Adventure Staff, Karen and Drew, for providing excellent programming for the weekend. Activities included archery, fly tying instruction, DNR workshop on survival skills and other outdoor skills, ice fishing and adventure/high ropes course activities. In addition, we would like to thank Plath’s Meats, Kilwin’s, Big Apple Bagels, the Walloon Village Store and Johan’s Pastry Shop for providing food options for the dads and sons. Shane Brown prepared the meals for the participants which received rave reviews. For information about 2020, contact Ed Leverenz, Facilities Manager at Camp Daggett by calling (231) 347-9742 ext. 112. 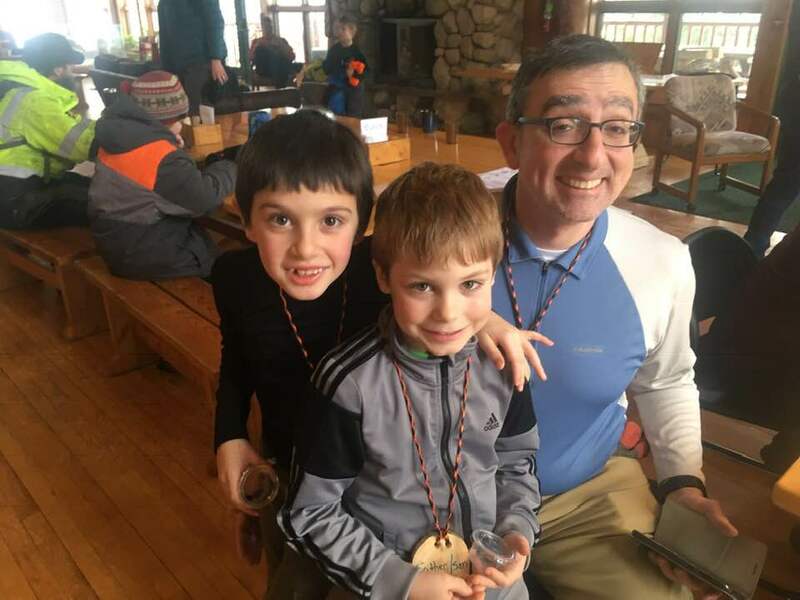 Ed Leverenz, the Facilities Manager at Camp Daggett, works hard every year to create new and exciting opportunities for the attendees of the Father/Son Weekend. If you know of anyone who could be a resource for this great event, or you yourself are interested in helping out in any way, please contact Ed to find out how you can join in the fun.